This is my last post before I disappear on holiday. This time we’re heading north-east to Derbyshire and the Peak District. I’ve only ever driven through here on my way to somewhere else, but can remember it’s very beautiful so there’ll be a lot of photo opportunities. We’ve a rented cottage in the village of Over Hadden which is just outside the town of Bakewell. The good news is that the cottage is equipped with every modern convenience; the bad is there’s no wifi. However, I will have my phone so I won’t be totally out of touch. I do, however, have issues with typing on a microscopic keyboard. I have very small hands and that means small fingers but I still fail to cope with a simple message without backspacing and cursing. I’m totally amazed as I watch people beating out a message with their fingers in overdrive, making it look so easy. One of the nicest aspects of holidays is the opportunity to take photographs but I don’t just restricted this to times when I’m away. Whenever I go out for walks locally my camera comes too. I have always loved photography, the only trouble is very often my visual expectations far exceed the capabilities of the camera. This means what I’m seeing is not what I get when I take the shot – oh and I guess I ought to throw the limitations of the photographer into the mix too – with the best will in the world I’m no David Bailey! Too optimistic I think is the word we’re looking for. However that does not take away the love of seeing things and wanting to capture them on film (or memory card as it is now). A lot of my good shots I have to say are luck rather than judgement. My friend Jane Risdon is the lady with the camera. She has posted some wonderful shots and I bow to her expertise! photography geek – it was a major hobby and he had his own dark room. This was the first time we had been on holiday with them and although we knew about his passion for photography we had no idea what what lay ahead. Every time we left the villa it felt like an expedition – the stuff he insisted carrying with him was amazing, including, of course, a telescopic tripod – he almost needed his own private Sherpa! 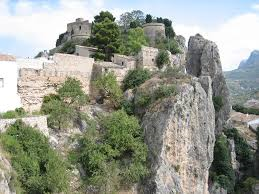 We went up into the hills one day to a place called Guadalest. There were fabulous views right back down to the coast and he took ages changing the lens and getting this damned tripod set up to capture each shot while all we wanted to do was to find a bar and a cold beer! These were the days before digital cameras were generally available so all his shots were taken on film. A few days after our return home his girlfriend rang to tell us that when he went to take the film out it had broken off inside the camera. In his dark room when he took the back off he discovered there was no film – he had forgotten to put one in! Total geek then! All that effort, all that fussy preciseness in setting up shots of views had been a complete waste of time! Not sure whether he learned any lessons from what happened as a job move saw them leaving the area later that year and we never went away with them again. Having said that I’m convinced had they stayed we would not have put ourselves through a holiday with a photographer with OCD for a second time! Once was quite enough! I’ve seen. 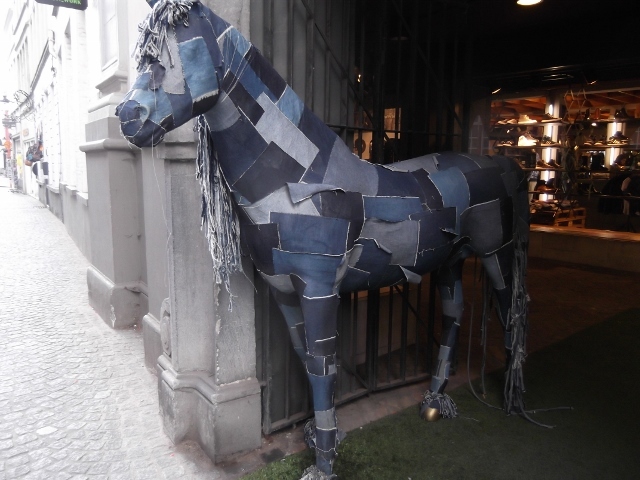 Like the denim horse in Bruges last October when we were enjoying a city break there. It was in the entrance to a number of clothes boutiques and was too good to resist. Then there was another the year we went to Corfu with friends. 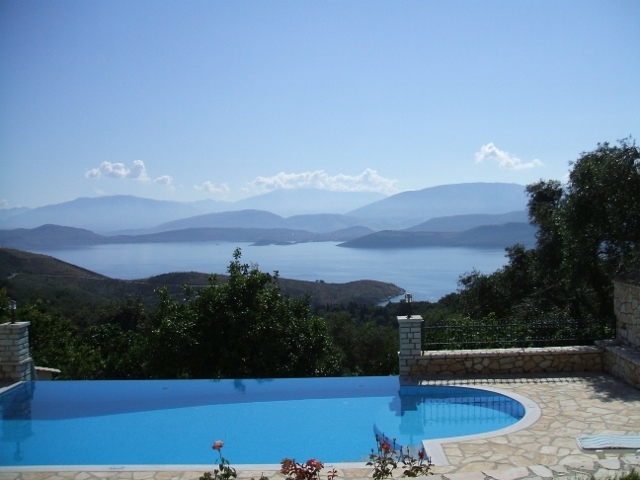 We arrived at the villa and unloaded the luggage. The men carried it upstairs and we opened the doors to the bedrooms trying to decide who was having which room. I went into one of them pulled open the shutters, walked out onto the balcony and was totally blown away by the view. I knew if I left it I would never be able to capture that shot again so grabbed my camera. My local ventures into photography have come about because even after years of living here I am totally mesmerised by this area on the eastern side of Bath where I live. Bath is all hills, built in an extinct volcano, you cannot enter or exit the city without negotiating some sort of gradient. On our side of the city we have Solsbury Hill, made famous by Peter Gabriel’s song of the same name. It looks across to Bathampton Downs to the south of Bath. The River Avon, main rail line to London, theKennet and Avon Canal and the A4 trunk road all run from east to west along the valley floor between these two hills. The place where I live is slightly east of this and gives us amazing views both across and down this valley. Tucked against a hill with a large sprawl of wood above it, it became the inspiration for Meridan Cross, the fictional West Somerset village which features in my books. I never tire of watching the cycle of the year and the ever-changing colours of the trees. I had always imagined that leaves were all the same shade of green. Not so, there’s an amazing variety as I have come to learn. When it rains there is always low cloud which threads its way eerily through the wood and if we should by any chance get snow it looks as if someone has taken a huge icing sugar shaker and dusted the trees – absolutely magic! Next week the Peak District’s dramatic landscape will no doubt be offering more good photo opportunities. I can’t wait! Take care and I’ll be back blogging on 20th July. In the meantime there’s a slideshow below of some of my favourite shots – enjoy! Have a wonderful holiday and make sure Steve does his share of driving leaving you some time to snap!